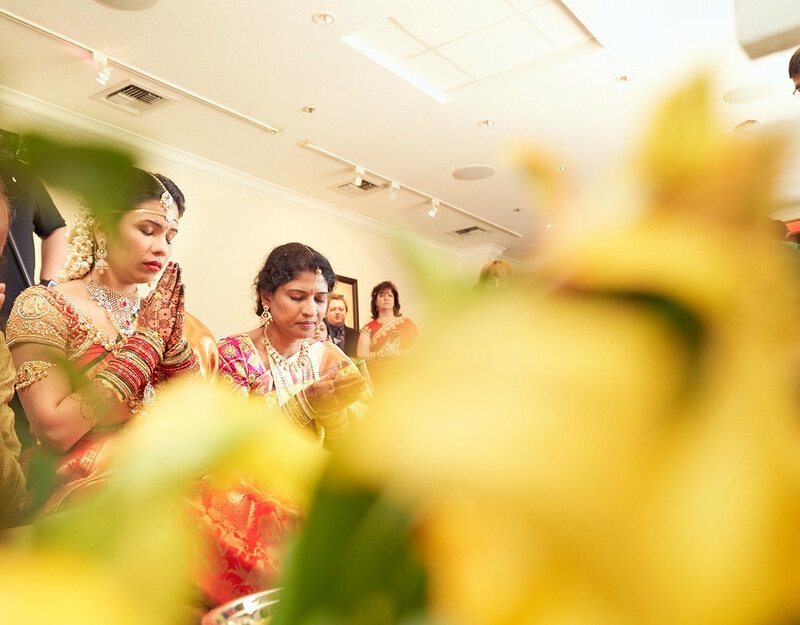 Photos of Telugu wedding ceremony infused with a dash of California. Portrait of Bride & Groom under the sakura tree at Saratoga Country Club, CA. 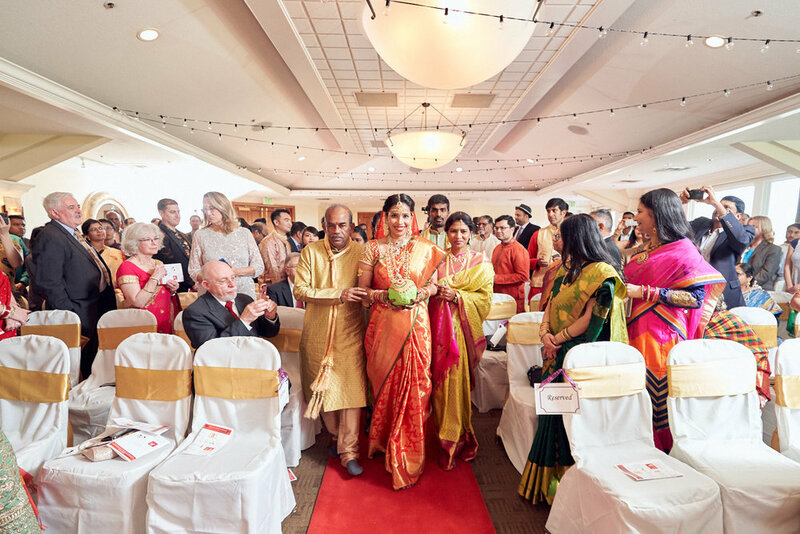 Spring of 2019 witnessed a cross-cultural wedding at Saratoga's quaint country club.After seeing this fun-filled South-Indian Wedding rituals of these two love birds, I couldn't help but fall in love. 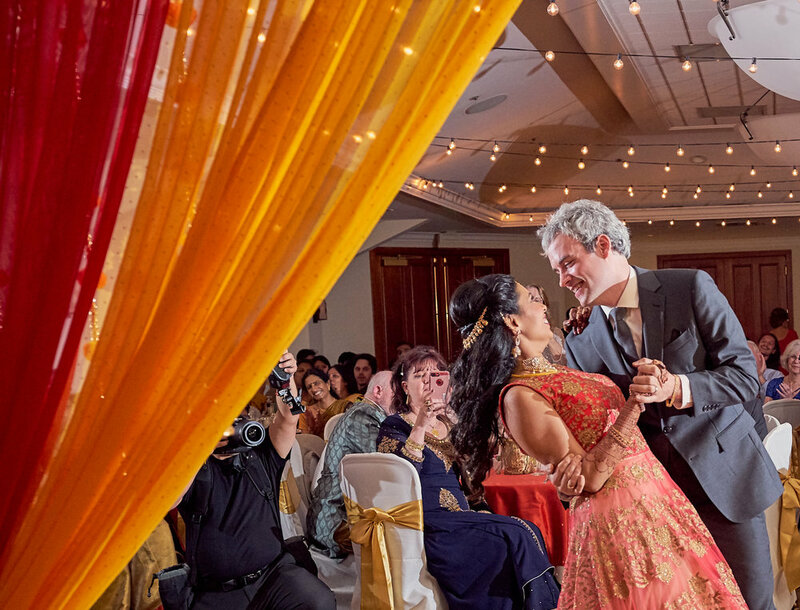 The couple chose to feature red, orange and gold accents at their vibrant Spring wedding. 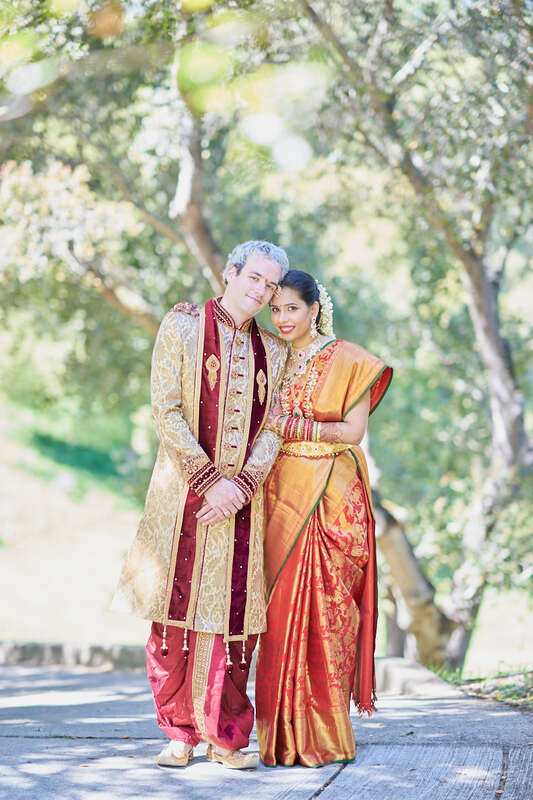 Our beautiful bride Priyanka wore an orange colour saree woven with intricate zari work that complemented the traditional sherwani worn by charming groom - Dan. Both of them made sure the ensemble was in line with the telugu cultural vibe. Every wedding has a story to tell and what really transformed their story to an intimate one was their awkwardness in front of camera. A lot of couples feel shy which is very natural and this couple found it extremely hilarious to pose. Their failed attempt to pose became a photographer's delight because it led to giggles and laughter that no posing guide can create. During the entire wedding, my favourite part was capturing them off guard on camera. 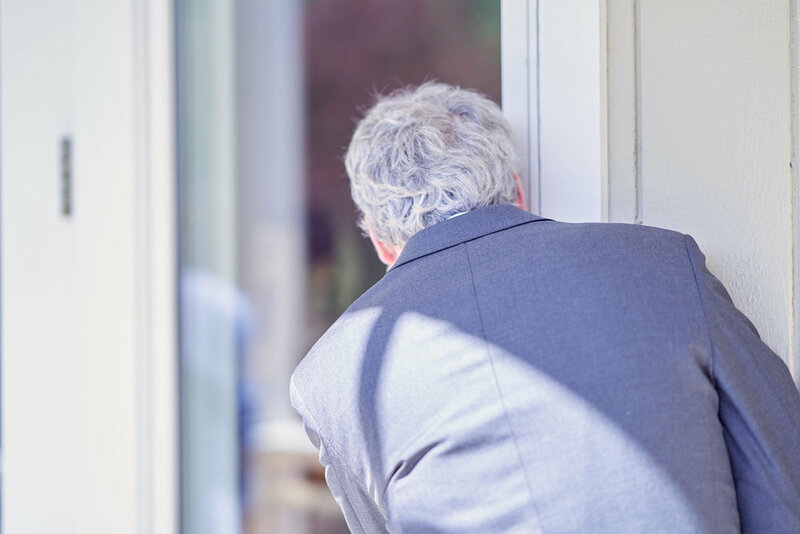 I am so thrilled as the pictures turned out absolutely fantastic helping them to look back and laugh again. 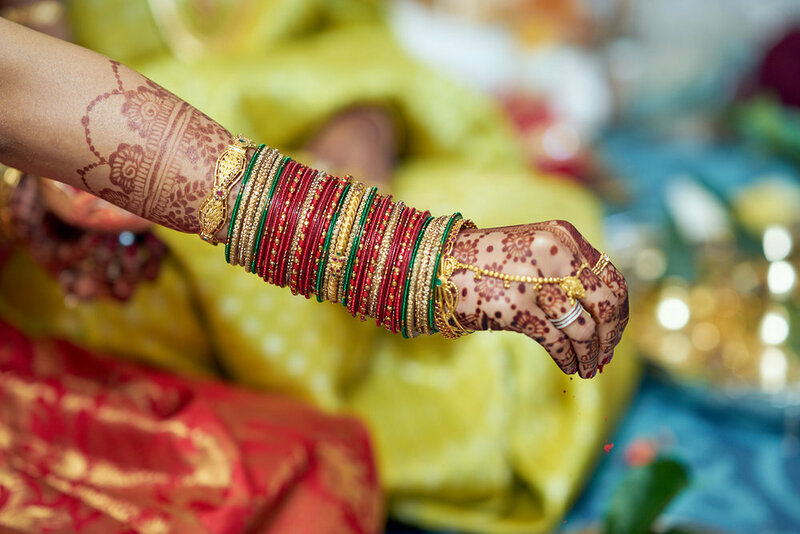 In my 5 years of photography career, I have shot south Indian rituals but this was my first as a Telugu wedding photographer in Bay Area, California. It had so many little rituals back to back that if you blink, you will miss it. 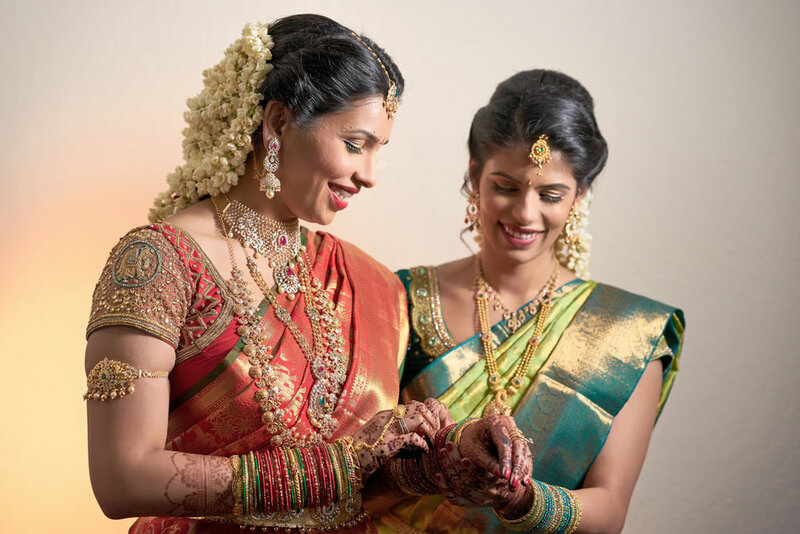 Now if you are looking for a south Indian wedding photographer near you, this blog is a must have post on your hand. 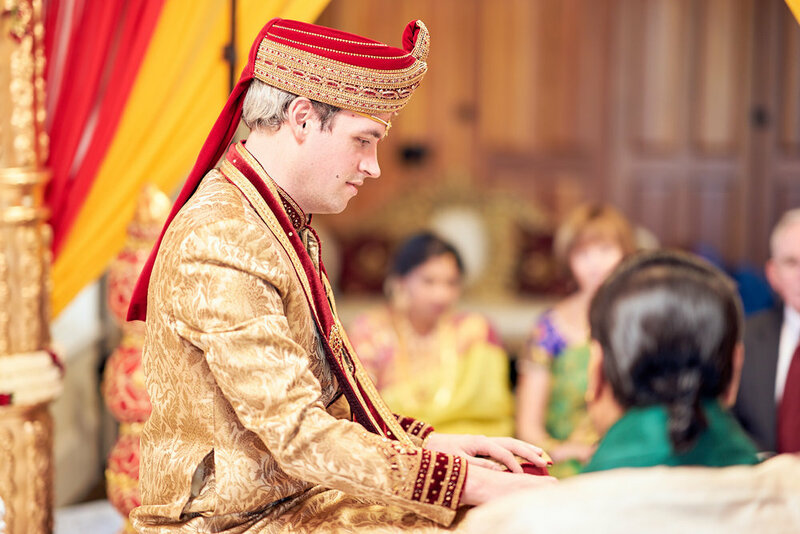 Scroll down and be prepared to get some major ideas and inspiration on posing, candid moments, little details, fun and action from a 10 hour wedding & reception photography. Bride’s Portrait using soft natural light . 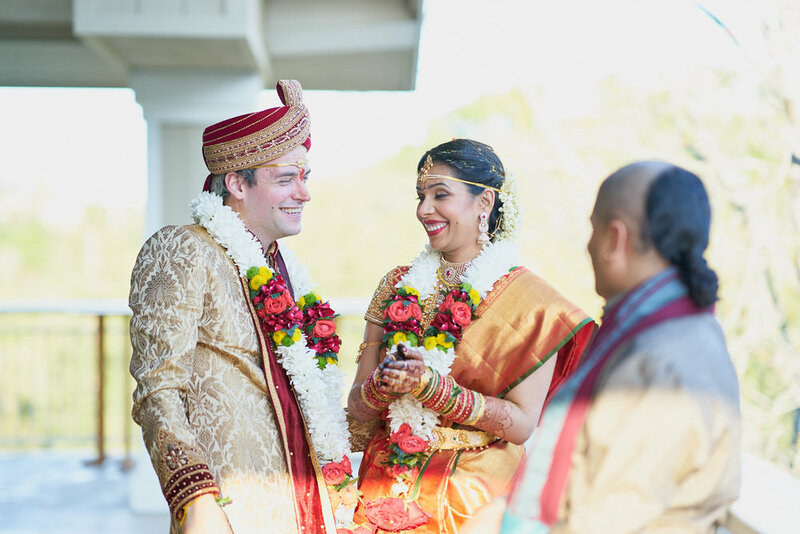 South Indian Bride & American Groom Photography in Saratoga. Bride heading towards the groom for the first look. A moment after the first look between the bride & groom. Oh they are so much fun! A Simple classic picture of the couple shot near the golf area at Saratoga Country Club. Bride & Groom being playful during the first look is an amazing way to get some candid pictures. Couple Goals - Groom kneeling down in front of his bride is still in fashion and super cute. Don’t you agree? Getting ready & family moments. Groom trying to peek while bride is getting ready. Mother of the bride during getting ready moments. Bride with her close kins before walking down the aisle. South Indian bride - Portrait Shot using fractal and magbox. Another moment of the bride with her sister | AFew Good Clicks Photography in Saratoga. Bride’s entrance with a striking green coconut in hand. 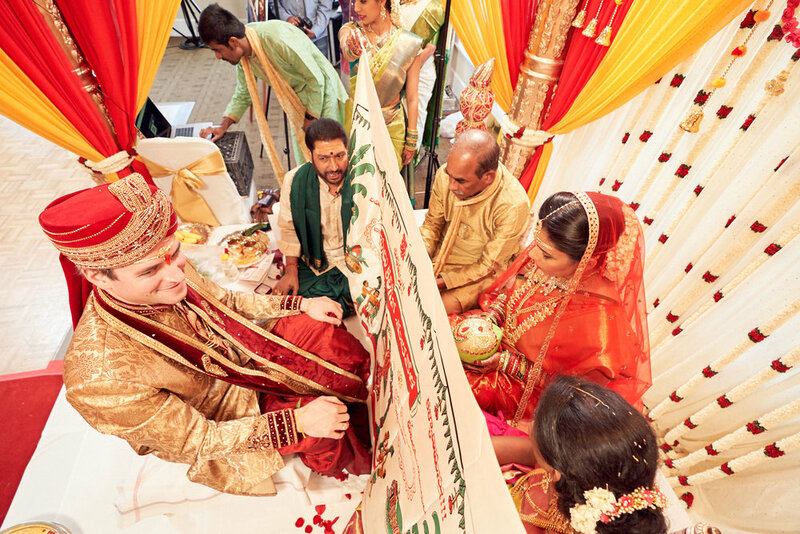 Groom eager to see his bride on the other side of the holy curtain during telugu wedding ceremony. Bride and groom still not allowed to look at each other. Instead they put their right hand on each other’s head until the ceremony is over. 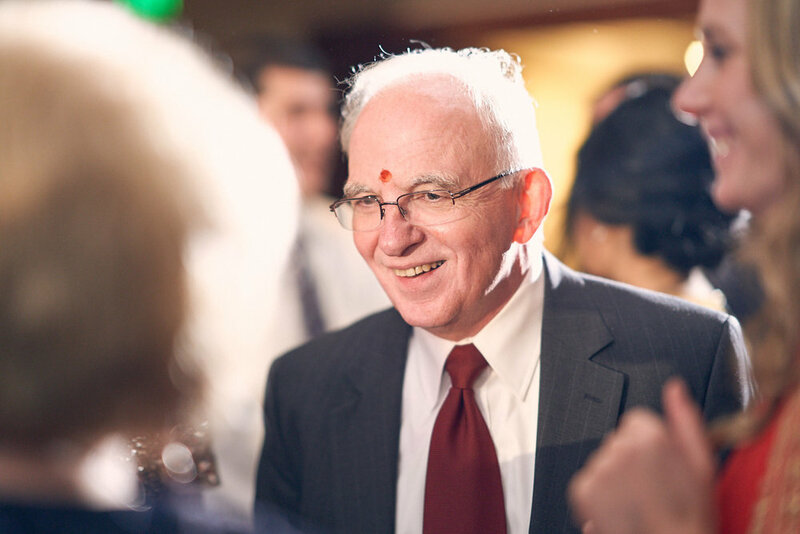 Playing with rice - Truly symbolic ritual to south Indian weddings. Definitely a fun picture as both of them are so immersed in the moment. 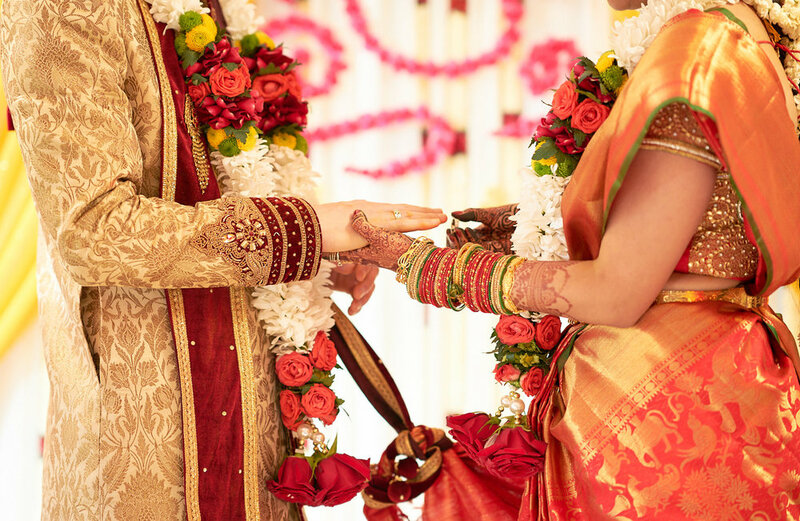 Throwing confetti on each other…isn’t this the best part of Telugu tradition? Bride touching her groom’s feet - a sign of love and respect. 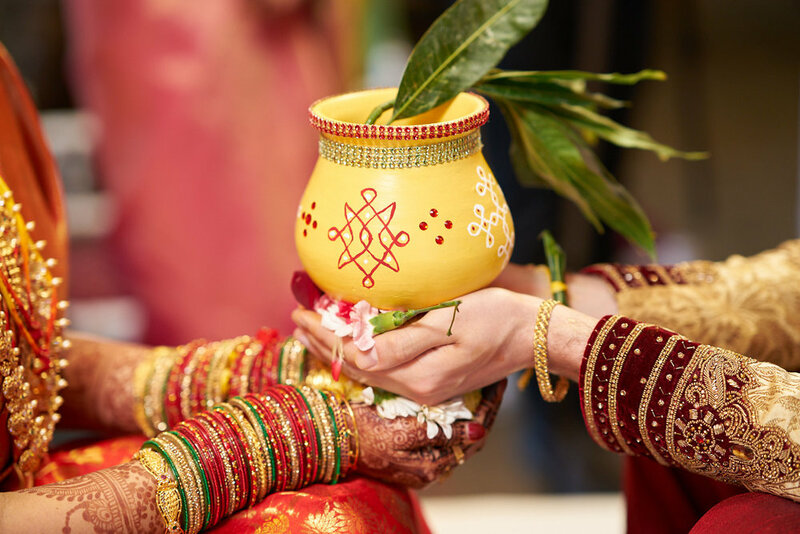 Mixed race couple exchanging garlands - at least this is common with north Indian style wedding. The must have picture after all the wedding games. Groom putting a ring on bride’s toes. Walking together around the fire for circle ceremony. Getting shower with rice by their family & friends. Newly weds holding the clay pot. Find the ring game..The best of three wins. First round goes to the groom. Parents of the bride giving her away to her new family. Look at the north star ritual - the second last before the ceremony ends. Wedding Reception Photos at Saratoga Country Club in California. The three tier wedding cake shot using split lighting with magmod modifiers just before the reception. Silhouettes of the couple under the gazeebo at Saratoga Country Club. Solo portrait of the Groom under the Gazeebo. 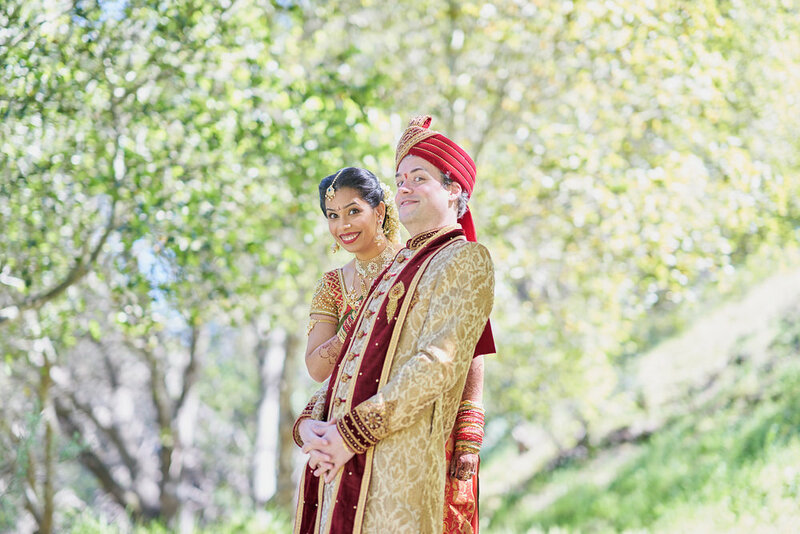 Gorgeous Couple Photos at Saratoga Golf Club, CA. Practising for their first dance at outside lawn of Saratoga Club. Bride & Groom’s first dance inside the reception venue, Saratoga Country Club. Look at the bride’s expressions…priceless! Sister and friends of the bride marks the beginning of dance performances during the reception. 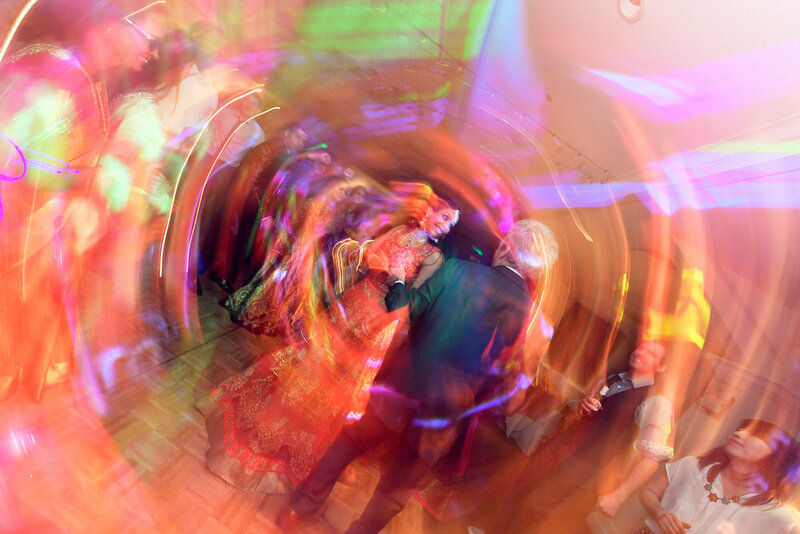 Bride joins the dancing camaraderie and surprises everyone in the room.